Wesley Homes is a faith-based organization providing retirement communities and a network of service for older adults. With love and joy, we are called to meet the physical, social and spiritual needs of those we serve. We affirm the worth of all those we serve and those who provide service. Wesley is a full-spectrum retirement community, with campuses in Des Moines, Auburn and Puyallup. 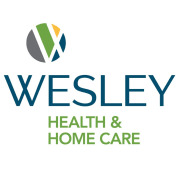 Wesley offers options for independent cottages and apartments, assisted living, home health care and skilled nursing. The Wesley Hospice program opened in November of 2017, providing services throughout South King County. Based on the wishes of the patient and the family, the multi-disciplinary Wesley Hospice team develops a care plan that includes physical, spiritual, emotional and social support services. Would you recommend Wesley Hospice?